The picture below shows Microsoft Lumia 550 basic components needs to check if the phone somehow doesn’t charge if the wall charger is plug-in. But you may first ensure that the wall charger and the phone’s battery you are using are still working. A drained battery will not charge, try to plug the battery charger around an hour or try to replace it with a good one, to quickly check if the battery got the problem. So if you are experiencing any charging problem or problem connecting your Microsoft Lumia 550 to your computer via USB cable then it is possible that your Samsung Galaxy A8 charging connector is faulty. Replacing it with a new one is the only solution here. But if by any chance the USB connector prints are broken then you have to make the jumpers as shown in the diagram below. 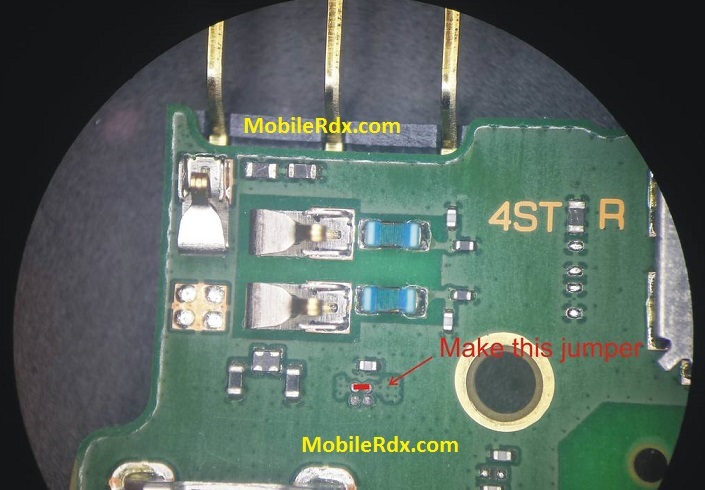 Here are Microsoft Lumia 550 USB Connector ways problem solutions. Please study these diagrams very carefully before you start repairing.